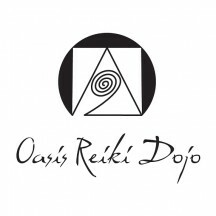 Welcome to Oasis Reiki Dojo and Reiki Help Blog! My name is Pamir Kiciman and I founded the dojo (training and practice space) in 1995. I am a Reiki and Meditation teacher, healer, and writer. My work is about helping people experience their inner happiness, healing and wellness, their power and love. I specialize in healing, spirituality and conscious evolution by providing Reiki services to those seeking to make meditation, spirituality and healing an active part of their life. I approach Reiki as a healing way of living with wisdom and compassion. It includes ways to heal and find wellness. It also includes meditation and mindfulness. Pamir Kiciman is an Educator in Healing, Meditation and Spirituality. He understands that living better involves connecting deeply with ourselves, and what gives us meaning and purpose. Presented about Reiki at a Medical Conference, while also giving Reiki sessions all weekend to participants. He’s been teaching and practicing Reiki for 25 years as a Reiki Master-Teacher and Healer at his Oasis Reiki Dojo. For my full resume / CV click here. I am here to help people answer existential questions, and live from a foundation of abiding qualities with meaning and purpose. Located in the Fort Lauderdale – Hollywood area I teach Reiki classes and meditation in South Florida, including Broward, Miami-Dade and West Palm Beach. Services are available globally as well. I started this blog to bring CARE into the spheres of life I find important. The writing here is an extension of my values and what I want my life, as well as the world to be. Therefore, while there’s an emphasis on Reiki, spirituality, healing and related subjects, there’s also a lot about greening the planet, society and culture, life enrichment, personal development, and charity.